The Paris Metro came later, with the first stations opening in 1900 for the Exposition Universelle of that year. The system was completed in 1920, when there were about 130 miles of track and 300 stations spaced at intervals of about 500 meters along each line. 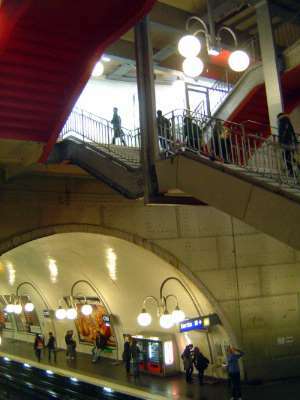 A second network, the RER (for Réseau Express Régional) was developed in the 1960s to serve the surrounding suburbs and is connected to the Metro at transfer points.